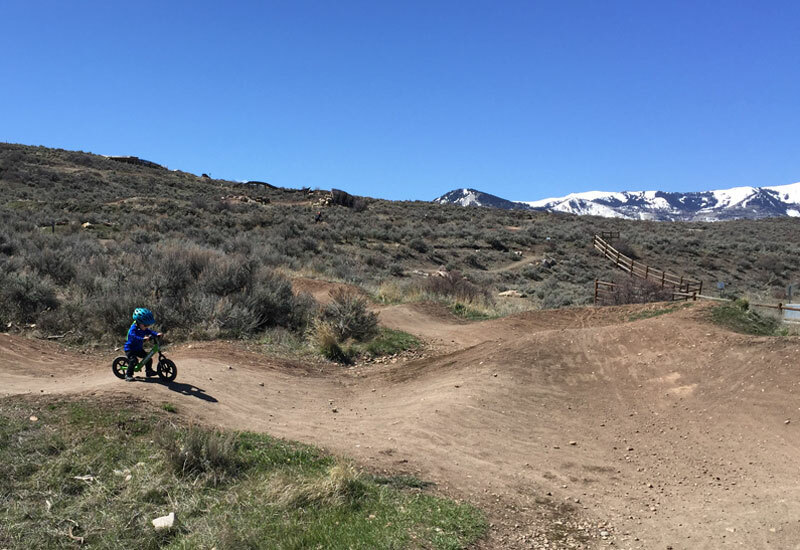 Park City might feel like one big playground most days, but there are some sanctioned parks that should be on the must-see list of kids both young and old. Whether you haven’t made time to visit your favorite park in awhile or you’re looking for a locals’ secret to find a little solitude, Park City’s parks live up to the town’s namesake. Pack up the kids, a sturdy hat, a cooler of snacks and get ready to enjoy the dog days of summer at one of our favorite parks. Tucked into the hillside in (you guessed it) Old Town is the Old Town Neighborhood Park. Found at 144 Main Street, there isn’t a lot of parking near the park, so exploring requires a pair of sturdy shoes. Take a wrap or sandwich from Riverhorse Provisions to the park’s picnic table and take in the blooming trees and wildflowers. If you are feeling adventurous, follow the overgrown trail to find out where it goes. Located at 415 Main Street, Miner’s Park Plaza is a popular spot. The park features an intimate stage in the heart of Park City’s historic Main Street District. Most Saturday afternoons in the summer, you can find live music on stage produced by Mountain Town Music. Grab an ice cream cone across the street at Java Cow and enjoy some tunes in Miner’s Park. City Park has it all. From the state of the art skateboard park to the volleyball courts, softball diamond, basketball and tennis facilities, City Park is a great destination for an afternoon of fun. You can reserve the pavilion on the South side for business, family or other gatherings. There is a playground for the young ones and lots of open space for tossing frisbees, playing catch or a enjoying a picnic. The playground at Creekside Park has playground equipment for kids between the ages of 4-12. The park is located in the Park Meadows neighborhood at 2392 Holiday Ranch Loop Road and is open dawn until dusk every day. It is a quiet corner of town with gorgeous mountain views. Prospector Park is located in the Prospector neighborhood at 2500 Wyatt Earp Way toward the east end of the subdivision. There is a playground designed for kids ages 6-12, picnic tables and shade. This is a centrally located park and could be easily combined with a ride on the nearby Rail Trail or Lost Prospector Trail, or a swim at the Silver Mountain pool. 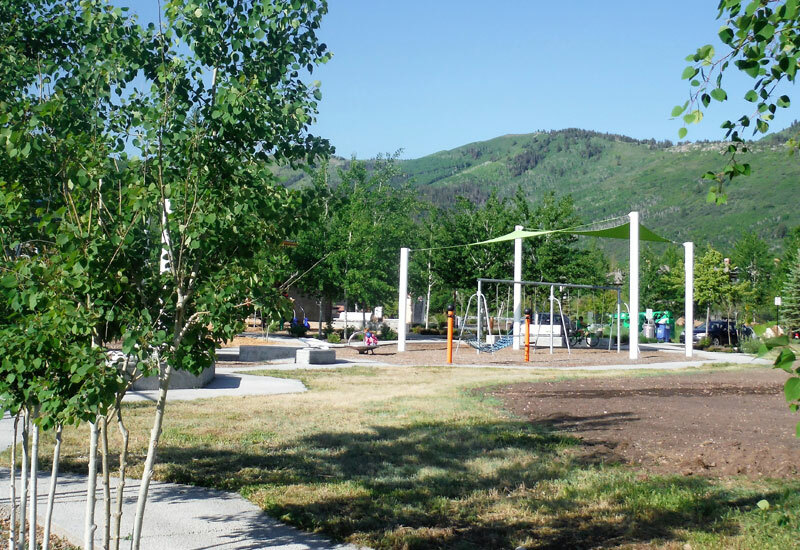 Rotary Park is a jewel of Park City. 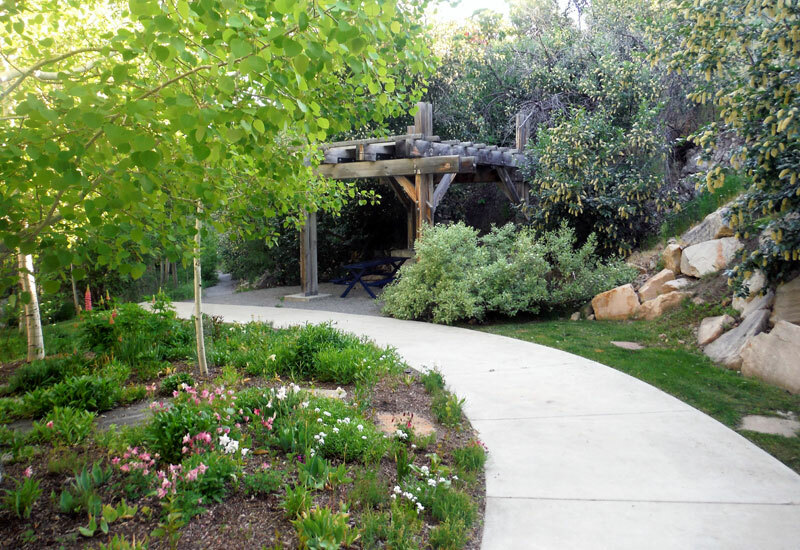 Located at the end of Pay Day Drive, within the Thaynes Canyon neighborhood, it is a lush area of green in the spring and summer and a colorful combination of foliage in the fall. 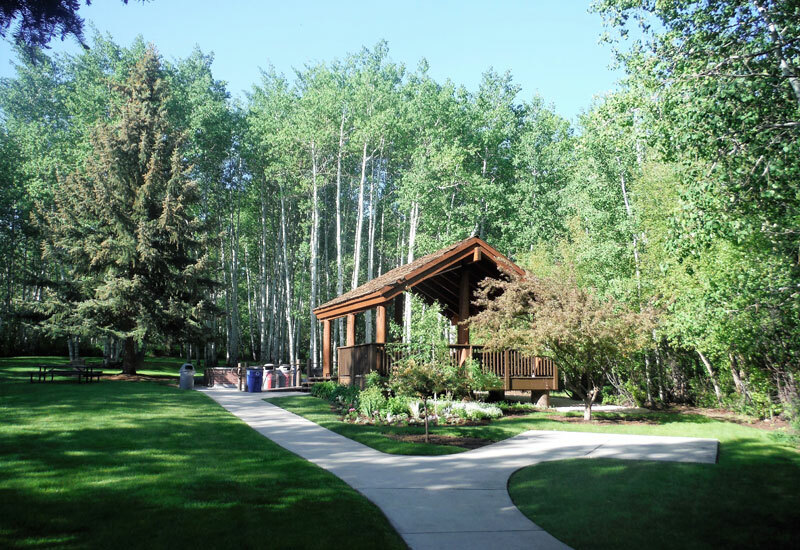 The picturesque park is surrounded by towering aspens and a babbling creek. There is a large grass area, perfect for games such as lawn darts, corn hole or even croquet. Plenty of picnic tables and BBQ grills make this the perfect spot for a gathering. Tucked into the Trailside neighborhood at 5715 Trailside Drive is the 63-acre Trailside Park, a community park where there is something for everybody. There is an off-leash dog park for your furry friends as well as two playgrounds, sports fields, a skate park, a disk golf course, tennis/pickleball and basketball courts. A locals favorite is the bike park and pump track which can be enjoyed by kids and adults of all ages. Plan at least an hour or two to visit Willow Creek Park. One of the best characteristics of the park are the expansive views of both the mountains and the border of open space. Through a conservation easement with Utah Open Lands there are 66 undeveloped acres of land next to the park. You will find all of the amenities of a park plus a fenced off-leash area and swim pond for dogs. The pond is used for ice-skating in the winter. Not only is there a nice trail loop within the park, many trails can be accessed from Willow Creek. It’s a good meet-up point for group hikes, bike rides, kids play dates and more. Willow Creek Park can be found at 4460 Split Rail Lane. There is a fun playground at the Park City Ice Arena and Sports Complex, complete with play equipment, benches and shade. The area is enclosed, making it difficult for young explorers to wander too far. Next to the playground is a fitness area with equipment for adults that targets strength, balance, core and cardio exercises. Fitness classes are held here in the summer. The Complex address is 600 Gillmor Way. 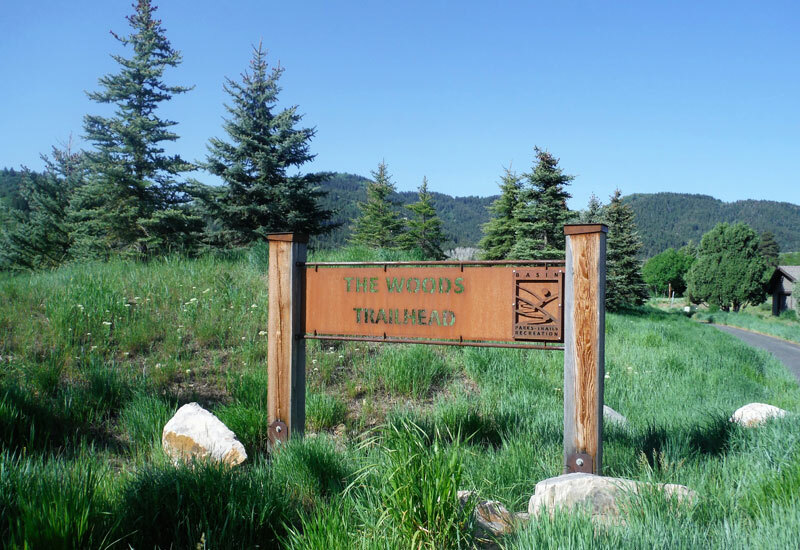 The Woods Trailhead and park area can be found at the end of Sunrise Drive, in the Jeremy Ranch neighborhood. There is ample parking, restroom facilities, a dog park and a number of paths for walking or biking. Some walkways are paved while others are packed dirt and narrow trail. Many of these paths loop and meet up with each other which makes it difficult to get lost. There is a helpful map at the trailhead. Note: Many of these parks can be reserved for events through the Park City municipal website or through Basin Recreation. These are just some of my favorite parks, but there are plenty more out there to love! What’s your favorite Park City park?